What is a Baby Sprinkle you ask? It’s a small version of a baby shower for a mom and her second or third child. The idea is to sprinkle the mom with a few necessities instead of showering her with everything you would need for a first child. I love that idea! This lemon berry sprinkle mocktail is sure to please your guests! 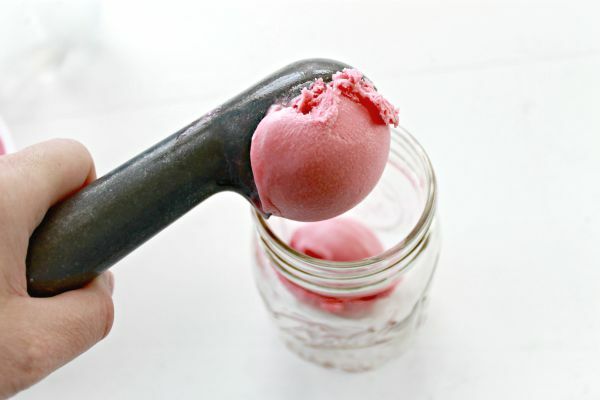 Start by adding two scoops of raspberry sherbet to a glass jar or regular glass. 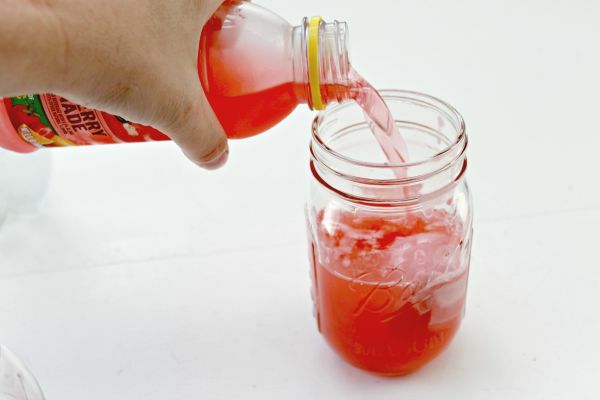 Next, add some strawberry lemonade to your glass to about an inch from the top. The sherbet will float to the top! Now add a splash of lemon-lime soda. 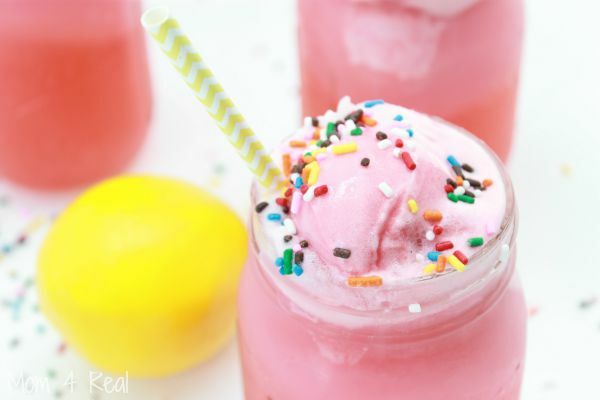 Once your sherbet reaches the top of the glass, sprinkle with your favorite sprinkles and add a straw! 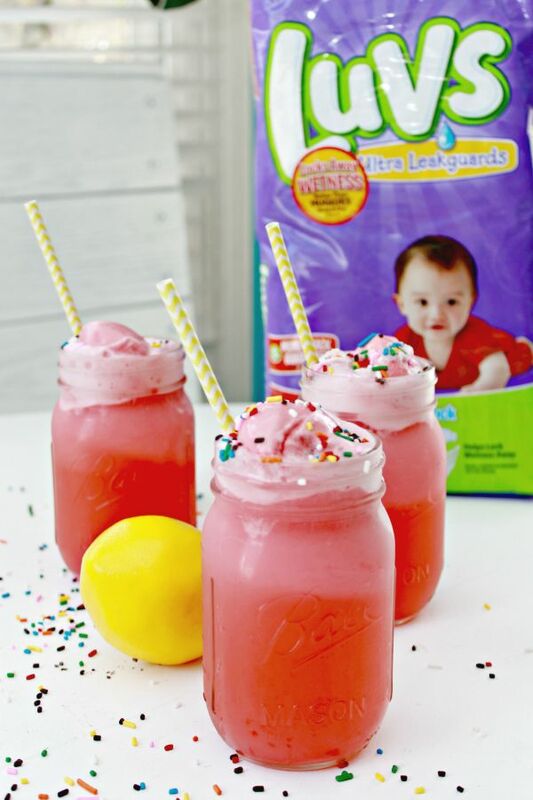 This is the perfect drink for a baby sprinkle or shower! 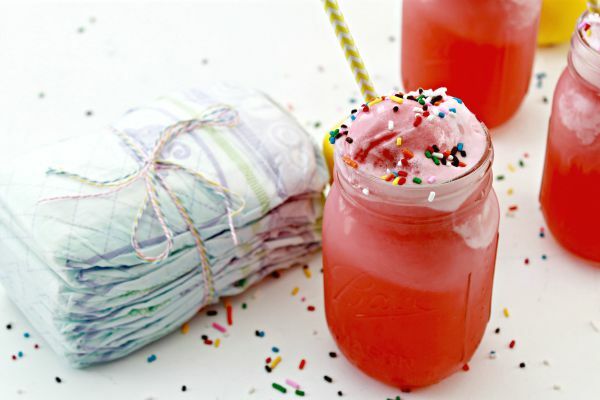 It’s alcohol free so even kiddos can enjoy it…I think it’s a nice modern version of the typical punch that is served at a baby shower, and the sprinkles make it even better! I hope you enjoy this mocktail recipe!